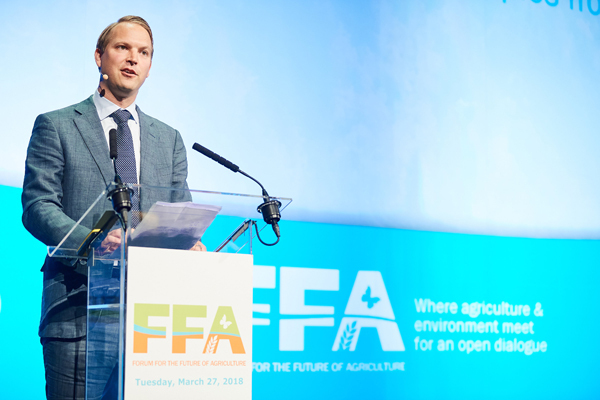 Three presentations at FFA2018, ranging from Western Europe to Africa and Asia, gave practical examples of how innovative business models and technological advances can underpin sustainable agriculture for local communities. Morten Rossé, Partner & Head of Natural Solutions, SYSTEMIQ, explained how, as part of the management team of Partnerships for Forests, he helps identify sustainable farmers, supporting them to reach a commercial scale. He presented examples of his work in Ethiopia, Kenya and Eastern Borneo. In Ethiopia, for instance, a consortium of public and private players has helped farmers of wild coffee to receive a fair price for their product by introducing new technologies and “a transparent value chain from the forest to the primarily European consumer”. Last year, the country exported 300 tonnes of wild coffee. By 2020, it is hoped this will rise to 6,000 tonnes. By adding value, local coffee production does not just increase its sustainability, but also markedly improved farmer incomes in the region. Markus Eerola, a farmer in Finland described how he is developing a circular economy on his organic Knehtilä family farm by applying “Palopuro agroecological symbiosis”. This is a cooperative food production system based on energy and nutrient self-sufficiency to produce food in an increasingly environmentally friendly and affordable way. “The symbiotic process recycles nutrients, promotes crop growth and reduces stress on waterways,” he explained, offering it as a model for other food producing communities around the world. He also demonstrated how bringing tourists and urban visitors to his farm, he does not just sell his products locally for better prices but also helps visitors understand the realities of modern farming. Dik Kruijthoff, a farmer and former banker in the Netherlands, presented the successful business model he and his partners have developed. In contrast to the large top down cooperatives in the country, “we said let’s do it together with agricultural families and start a kind of bottom up cooperative,” he explained. Farmers retain ownership of their land and buildings, but work together on crops and purchasing equipment. By bringing together farms with only 100 to 200 hectares, the model brings economies of scale. “We found that about 800 hectares is enough to earn a living and to invest,” he said. 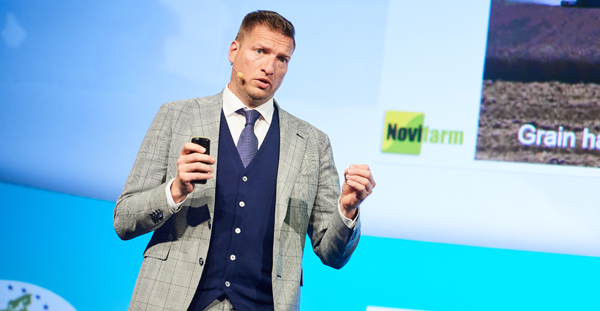 Soil, however, remained the foundation of his farm and that of his partners, the Dutch farmer emphasized and showed off how new digital tools are helping them maintain it in good condition. 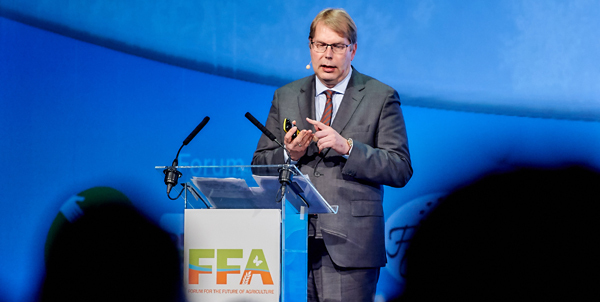 Mr Kruijthoff made a special plea to the EU to fund research into the quality of different types of food and the micronutrients they contain. Such research previously existed, but is no longer carried out, making it difficult to establish the quality of food being produced, he pointed out.